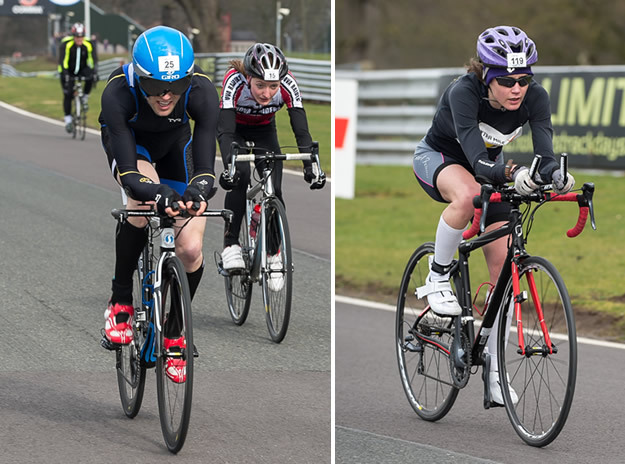 The Oulton Park Spring Duathlon took place last Sunday 15th March at the famous motor racing circuit in Cheshire, featuring a sprint and a standard distance race. The event was a qualifying race for both the 2015 ITU World Duathlon Championships and the 2016 ETU Standard Distance Duathlon European Championships and attracted a large field of elite athletes as well as amateur and novice racers. 279 athletes crossed the finish line in the standard distance race and 190 completed the sprint distance race. The Oulton Park Spring Duathlon is held at one of the country's finest motor racing circuits and offers many unique features including the mass start on the starting grid, transition in the pits and a traffic free race track. The banked hairpin and the track's super smooth tarmac guarantee a fast and unique racing experience for all competitors, along with excellent spectating opportunities. There was a great atmosphere at ‘The Xtra Mile' where competitors finished under the Xtra Mile Events arch and were treated to ice cold samples of the isotonic recovery drink. The sprint race saw some fast times, with four athletes dominating the field and battling it out for first place. Carl Avery beat Christopher Silver of University of Birmingham Tri Club into second place by 10 seconds, claiming the win in a time of 1:01:49. In a sprint finish Ian Lawton secured third place in a time of 01:02:07, one second ahead of Peter Ellis. Gwen Kinsey of Stroud Athletic and Hannah Dodwell raced each other for the women's title, with Kinsey securing the win by crossing the finish line in 01:16:11, seven seconds ahead of Dodwell. Cath Dawson claimed third place in 01:17:14. In the standard race Luke Pollard of RAF Tri Club put in an outstanding performance on the track. Pollard took the lead from the start and kept extending the gap throughout the race, claiming the title in a time of 01:41:02 which is nearly eight minutes faster than his time last year. Gethin Butler took second place in 01:42:44 ahead of Sean Poulter (Adwick Club) in 01:44:15. Dionne Allen of Team Freespeed Skechers Performance dominated the women's field and secured the win after crossing the finish line in 01:59:26. Karolyn Brown (Ythan Cc) took second place in 02:05:32, with Lisa Grantham (Chester Tri Club) coming third in 02:07:56. (4.3km run / 21.6km cycle / 4.3km run). The full results are available on www.xtramileevents.com/results/2015/ . State of the art lap counting technology was used, giving the competitors individual lap times. Sponsors of the Oulton Park Spring Duathlon include Race Force, Clif Bar, Jabra, Athlete Matters, ERDINGER Alkoholfrei, Zone3 and Pro Spin. 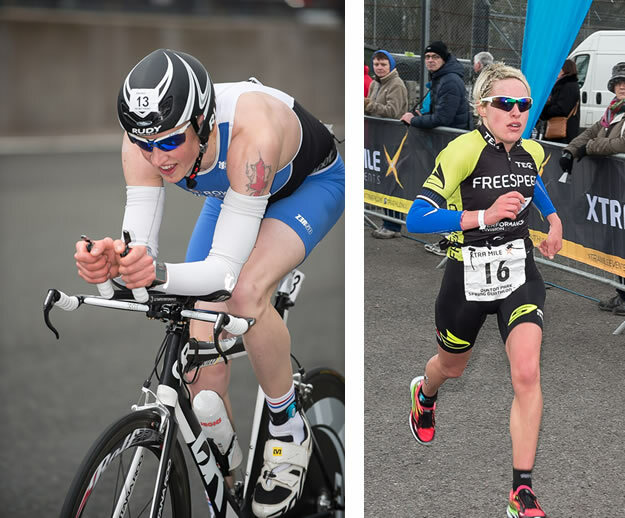 The Oulton Park Autumn Duathlon takes place on 4th October 2015, giving competitors who enter both the spring and the autumn duathlons a great opportunity to measure their improvement over the season. 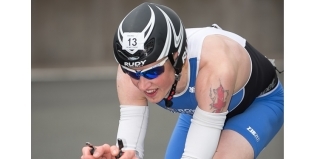 The National Duathlon Championships will also take place at the Oulton Park Autumn Duathlon. Go to www.xtramileevents.com for further details about Xtra Mile Events and to register for all 2015 events. You can also like the Facebook page www.facebook.com/TriathlonUK and follow Xtra Mile Events on Twitter @GreatTriathlons and Instagram xtra_mile_events.